A sixth baby has died while using a recalled “Nap Nanny” infant recliner, with safety experts again urging parents to stop using the product. According to the Consumer Product Safety Commission, or CPSC, the latest tragedy involved an 8-month-old girl from New Jersey. The baby suffocated while secured by a belt, trapped between the product and a crib bumper. CPSC officials said the infant was found stuck over the side of a Nap Nanny. CPSC Communications Director Scott Wolfson said parents should avoid the recliners at yard sales, as hand-me-downs or in online auctions. About 165,000 Nap Nanny and Nap Nanny Chill recliners were sold between 2009 and 2012. Nap Nannies — which are no longer sold in stores — were recalled last year, but for months the company that made the portable recliner refused to pull it from shelves or offer refunds, instead insisting on the product’s safety when used properly. 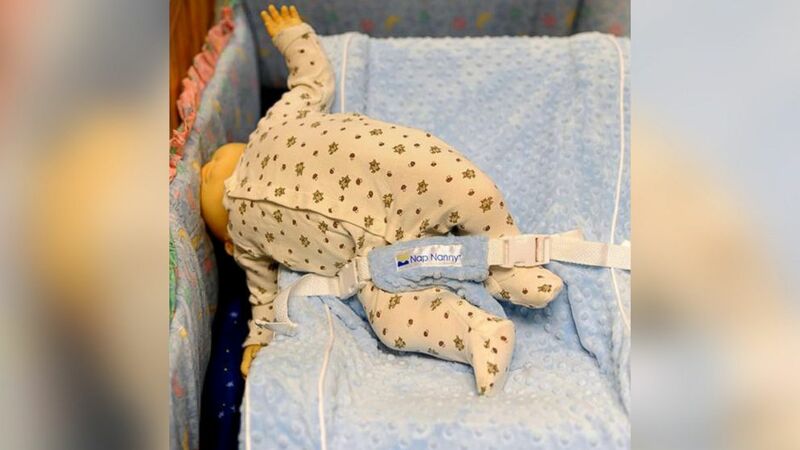 In a statement, an official with the company, now out of business for two years, told ABC News it was heartbroken for the families who have lost a child, but said the Nap Nanny was never intended for use in a crib. Brian Thiel’s 4-month-old daughter died in 2010 while using the Nap Nanny. His settlement agreement with the maker of Nap Nanny limited what he could say. It is illegal to sell the Nap Nanny in the United States, Wolfson said. This entry was posted on June 13, 2014 by curi56. It was filed under Uncategorized .